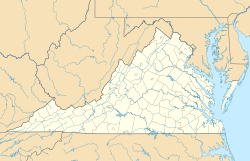 King William is a census-designated place (CDP) in and the county seat of King William County, Virginia, United States. The population as of the 2010 Census was 252. Located in King William is the oldest courthouse in continuous use in the United States, built in 1725. The community is also known as King William Courthouse or by an alternative spelling, King William Court House. The Pamunkey Indian Reservation is located within King Wiliam, the Pamunkey Indian Tribe Museum was established in King William in 1979. The chiefs Wahunsonacock and Opechancanough are buried on the Pamunkey Indian Reservation near railroad tracks. The King William County Courthouse, King William Training School, Sharon Indian School, and Sweet Hall are listed on the National Register of Historic Places. This King William County, Virginia state location article is a stub. You can help Wikipedia by expanding it.